by Brianna Crandall — November 28, 2018 — Floor-cleaning robot designer and manufacturer Avidbots has made several announcements in recent months covering the purchase of numerous units of the company’s self-driving robot, Avidbots Neo. The floor-cleaning robot is now in its ninth design iteration and has been successfully deployed across five continents. Avidbots Neo is a purpose-built floor-scrubbing robot that tightly integrates state-of-the-art sensor technology, using lasers and 3D cameras, with artificial intelligence (AI) navigation and innovative product design. It is designed for ease of use, longevity, serviceability, safety and high productivity. The autonomous robot handles the repetitive and tedious task of cleaning large floor areas, reducing worker fatigue and enhancing job satisfaction by allowing the worker to focus on other areas of cleaning. Neo is supported by an easy-to-use but highly sophisticated web app that provides real-time and historical reporting, providing greater visibility into operations for cleaning teams and enabling better decision-making. The robot’s all-important safety features include collision avoidance technology, protective bumpers and flaps, an e-stop button, warning lights, and a low 72 dBA noise rating. Because of the robot’s simple setup and intuitive operator interface, no special training or programming is needed. After a simple facility mapping, a cleaning plan is generated and Neo is ready to clean. With rugged construction, Neo navigates within 5 cm (2 in.) accuracy and cleans up to 1.2 m (4 ft.) per second. Extra-large water tank capacity and battery configuration maximize cleaning time. In a feature earlier this year entitled “Autonomous robots and the cleaning industry,” Facility Cleaning & Maintenance highlights how self-driving floor scrubbers like Avidbots Neo are said to be revolutionizing property maintenance by reducing operating costs, boosting business productivity, and enhancing employee satisfaction. The difference with Avidbots is that we started as a robot company first, not as a retrofit or an add-on idea. We have built the most technologically advanced and robust robotic hardware and software platform in the industry. Avidbots is 100% vertically integrated in that we have the ability to control and change the hardware, software and support, which makes us nimble and better able to respond to customers’ needs than the competition. The feature also noted Avidbots’ focus on customer experience and performance, with a dedicated Customer Success team that supports client deployment across the globe. Avidbots Neo recently arrived in the Land of the Rising Sun. The friendly, autonomous, airport-cleaning robot was purchased by Kansai International Airport to improve cleaning quality in this world-famous facility and increase the performance of the cleaning team. Kansai International Airport is one of the busiest airports in Japan, hosting over 25,000,000 passengers a year and housing the longest airport terminal in the world. The purchase was transacted through Avidbots’ value-added distribution partner in Japan, Macnica, Inc. Earlier this fall, Avidbots announced that Groupe3S purchased Avidbots Neo to enhance their cleaning productivity and performance for the Paris Charles de Gaulle Airport. The purchase was transacted through Avidbots’ value-added distribution partner in France, Facilibot. Facilibot controls the entire deployment of robotic solutions at each key stage: from distribution to sales, user support, risk prevention and management, and robotics fleet life. Charles de Gaulle Airport is the second busiest airport in Europe and the most popular airport in France, hosting over 65,000,000 visitors a year. According to Facilibot CEO Alain Castay, this is the first in a series of phased deployments of Neo in multiple airport sites across France. Facilibot offers facilities management (FM) consulting, and the company’s relationship with Avidbots is reportedly accelerating the adoption of robotics throughout the French market. 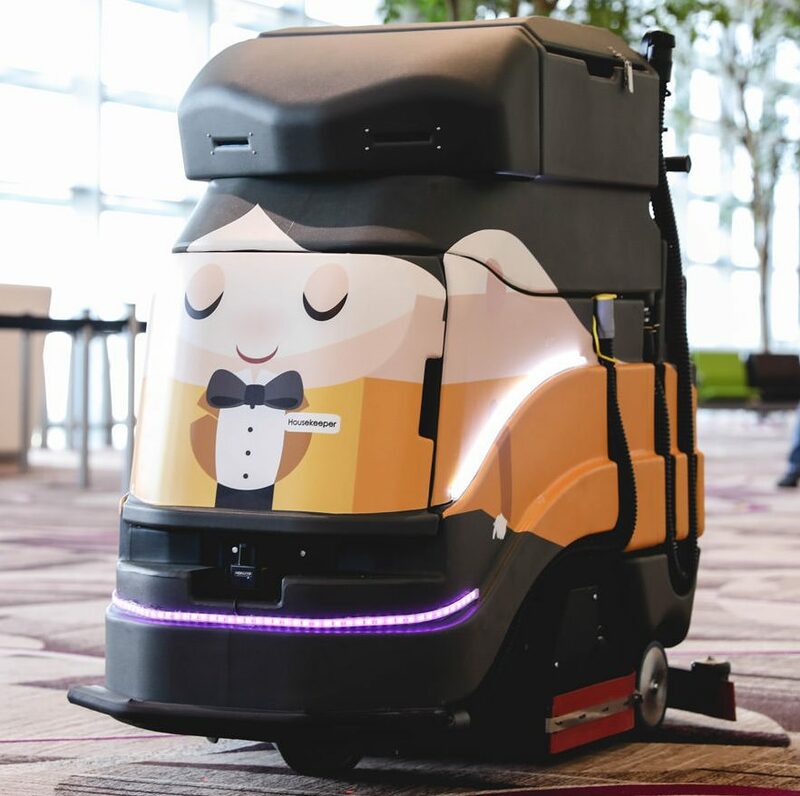 This summer, Avidbots announced that Singapore’s Changi Airport will be deploying Avidbots Neo robots to improve the productivity of their cleaning teams and reduce costs. The floor-cleaning robot was supplied by Avidbots’ distribution partner in Singapore, Globotix. Avidbots Neo is expected to enhance the efficiency of Changi Airport’s cleaning teams. Earlier this summer, Avidbots Corp. announced that Compass Group purchased the Neo self-driving floor-cleaning robot to enhance cleaning productivity and performance for their clients. The initial deployment is through the Eurest Services facilities management company for their education-based clients, with deployment to other business units in 2018. Neo has proven to be a cost-effective and productive tool for our operations team, allowing us to maintain our commitment to continuous improvement and innovation for our clients. Compass Group is excited to offer this innovative technology to the many industries we serve, including education, healthcare, sports and leisure, defense, and commercial businesses. Neo is expected to allow Compass/Eurest to reduce costs, improve the productivity of their cleaning teams, and position themselves at the forefront of FM innovation. This spring, Avidbots Corp. announced that United Arab Emirates University (UAEU) will be deploying the Avidbots Neo floor-cleaning robot to improve the productivity of their cleaning teams, reduce costs, and promote robotics and innovation throughout the UAE. The Neo represents an innovative and cost-effective way to enhance the university environment. Employing robots to help do more cleaning with less resources, meaning more efficient facilities management, is in line with our vision of leadership and innovation in higher education. The Neo is being supplied by the University’s FM partner, Berkeley Services Group, through Avidbots’ exclusive distributor in the United Arab Emirates (UAE), Al Yousuf Robotics. Neo is anticipated to allow the University and Berkeley to demonstrate that they are at the forefront of innovative services, while enhancing the efficiency of their cleaning teams. Earlier this spring, Avidbots Corp. announced that the company had signed a distribution agreement with Macnica, a supplier of specialty technology products in Japan and worldwide. Macnica will distribute the Neo self-driving floor scrubber across Japan to customers challenged by the largest labor shortage in the country in over 40 years. According to Avidbots, an aging and declining population has left Japanese companies desperate for workers, especially in FM and cleaning roles, sending labor costs skyrocketing. Macnica can now offer an autonomous floor-cleaning robot that reduces labor requirements and costs while providing a higher quality and consistent cleaning service. We have customers that simply can’t find enough staff to clean their facilities, or they are losing cleaners due to retirement. The Avidbots Neo will allow us to offer a service that reduces the need for human resources while delivering superior cleaning, which can be tracked through detailed reports. Japan is one of the most tech-forward nations on the planet and is also suffering from a significant labor shortage. We are extremely excited to partner with Macnica as it allows us to further actualize our vision of bringing robots to everyday life and expanding human potential. Avidbots Neo is currently deployed on five continents, servicing some of the world’s leading shopping malls, airports, education facilities, health-care centers, manufacturing sites and other commercial spaces. Cleaning innovations for a variety of surfaces — see what this award-winning company introduced at the ISSA Show November 12, 2018 In "Products and Services » Cleaning Equipment & Supplies"
Interested in robotic cleaning machines to free up staff from repetitive tasks? 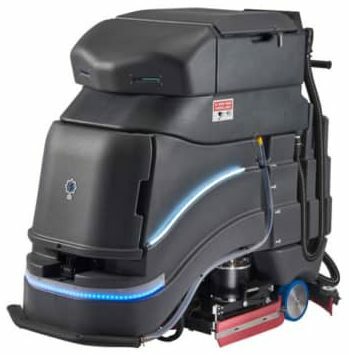 Check out this autonomous floor scrubber from Tennant June 25, 2018 In "Products and Services » Cleaning Equipment & Supplies"